Lovely villa situated in the quite area of Magagnosc, immaculately presented and luxurious Provencale style villa has private grounds with a large rectangular pool. 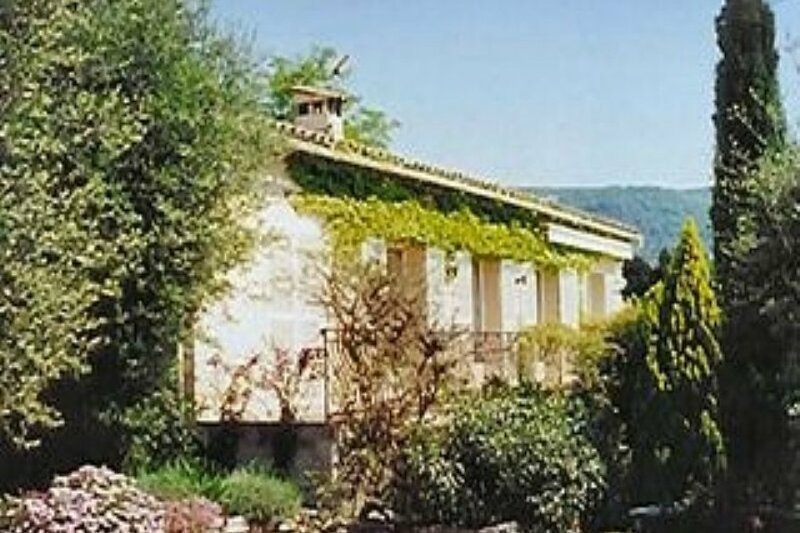 The two storey villa is fitted with French doors opening onto the large terraced area. The villa is light and spacious and the dining area is open to the sitting room. The villa has been fitted out with high quality furnishings. In the villa there are antique terracotta floor tiles and wooden floors fitted throughout the house. In the sitting room there is a lovely marble fireplace. The property contains a superb kitchen, with all modern appliances and elegant decor throughout, displaying a classic design of the area. The pool is located straight in front of the villa along a small path leading from the main terraced area. The pool is large and rectangular which measures 12 x 5. The pool is now saline and is a lot kinder to the skin and hair and also better for any children that holiday makers may bring along. It has a shallow end with steps down into the pool. The area in the region of the pool is flat and is ideal for looking at the remarkable hills around you whilst taking in the rays of sunshine relaxing on the sun loungers, with poolside umbrellas provided for those who may need them. For adults the villa offers terraced areas for sunbathing and relaxing and for evening entertaining it has a fully equipped gas barbecue and outside furniture. Also the villa offers plenty of car parking space in the drive of the property for several cars.